Besides the aesthetics, there are a lot of other things to consider when it comes to garage doors. Of course, a home’s curb appeal is important, but we also want our garage doors to work correctly. 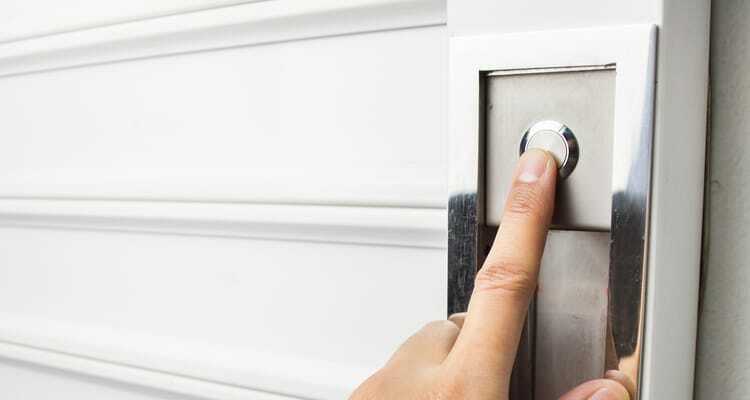 Between daily use for things like groceries, shelter, or if we have children or pets, we want to feel secure in knowing that our garage door’s safety features are going to do what we need it to. There are many easy ways to secure your garage door, but first, understanding the full range of security features on your garage door and using them properly is an essential step in your approach. Burglars are becoming more sophisticated, but so too have home security systems. You’d be surprised, however, at how often the garage door is left off of a security system consultation or installation. If your garage door has not been included in your security system set up, you should change that now. If you have exterior windows in your garage, you should consider adding blinds. These can easily be opened and closed when you want to bring in light or hide your belongings from prying eyes. Don’t forget about any windows that are accented into your garage door; you can add treatments that make them opaque. That way, you can keep light coming in while not being able to see inside. It’s common practice to mount a motion detector light or flood light on the outside of your garage door. When anyone approaches your garage door, they are blinded in light, making it hard for anyone to break in undetected. You should also install motion detector lights inside your garage, for a number of reasons. The main benefit is that when someone enters your garage, you’ll always have a light that comes on, making the garage safer for your family. When you lock the manual garage door lock (usually a handle in the center lower portion of the door) it defeats the purpose of an automatic garage door, but it’s important that you activate this security feature if you’re ever going away for an extended period of time. You will rest easier knowing that your garage door is secure while you’re away. These easy ways to secure your garage door are inexpensive and fast. Remember to secure your garage door whenever you go on vacation and unplug your automatic opener while away from home for long periods of time.